Pieces of medium quality mica having a thickness of less than 1 mil are classified as Mica Splittings. 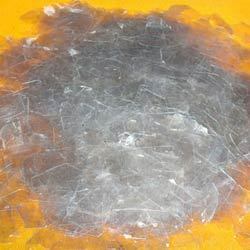 Our mica splittings are renowned for their superior quality worldwide. We supply these splittings either in 'Book-form' type or 'Loose' type known as book form mica splittings, loose mica splittings. Our book form mica splittings are in great demand, as they are used to manufacture micanite, which is used as an electrical insulator. Book Form Mica Splittings as the name suggests appears like a book because of the uniform sizes of all the Mica pieces. 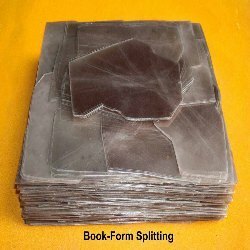 To obtain such form of splitting, mica block is split into various thin layers of less than 1mil which later seems like a book with the various layers appearing like pages of the book. We offer Loose Mica Splittings to our clients. This form of loose mica splittings is not uniform in shape. Although the size is as per the order, say No.4 Splitting or No. 5 Splitting, but its just caters to the size as per the mica block size grid but the pieces are all incoherent with the thickness lying in the tolerance zone. Looking for Mica Splittings ?